We’re back on Saturday 18th August at The Shacklewell Arms in Dalston as part of the venue’s 7th birthday celebrations. Our guest DJ is Greg Ullyart from Night Flowers. He’s DJed at the club on many occasions so expect Weezer, Blur, Alvvays, Elastica, Pulp, Teenage Fanclub, The Cranberries, Hole, The Lemonheads, Pavement, Big Star and more. You can listen one of their past playlists on our Spotify page. If you have any song requests you can post them in the Facebook event. 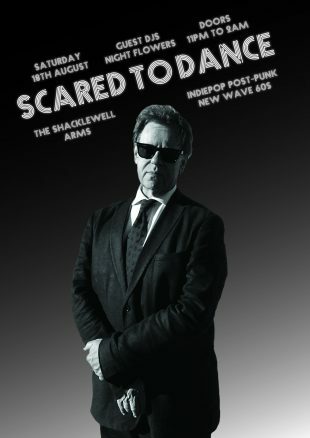 We’ll be playing our mix of indiepop, post-punk, new wave and sixties music. You can buy cheaper advance tickets for £5 from WeGotTickets which guarantees entry. The price is £6 on the door.